Ruppenthal Law Firm is a private practice that accepts cases throughout the state of Georgia. We are located in beautiful Fayetteville, Georgia where Bob has maintained his practice since becoming an attorney in 1994. Bob Ruppenthal has represented over one thousand clients in his years as an attorney. 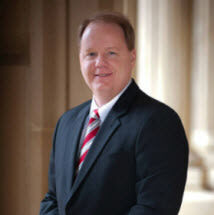 He vigorously represents his clients and has had great success in litigated matters over the years. He takes pride in providing high quality legal services while taking the time to understand the needs of his clients and maintaining good communication and counsel. Also in 2000, Bob was appointed as the County Administrator/Conservator by the Fayette County Probate Court. He was privileged to be re-appointed in 2004, 2008 and again in 2012 by the newly elected Probate Judge. Due to this position, Bob is appointed in various cases by the Fayette Probate Court to serve as the Administrator for various estates or the Conservator for various incapacitated adults and minors. This service has increased Bob's depth of knowledge and improved his abilities to assist clients who are seeking to probate an estate, file the court required reports, establish a guardianship and/or conservatorship for a family member themselves, or make special requests of the court in managing an estate or conservatorship. If we can ever assist you in any way, please feel free to contact us. The initial consultation is always free. We look forward to working with you.